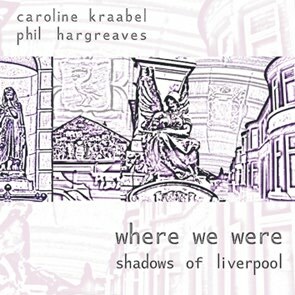 Instead of recording improvised music in a studio that could have been anywhere, Caroline and Phil took their saxophones into some the most spectacular locations in Liverpool (and some slightly less spectacular). From greenhouses to "the finest neo-classical building in the world," from tunnels to libraries via an anechoic chamber. Once they'd finished, they stitched the parts together on a computer to produce a single electro-acoustic piece. It's music with a particular context, shaped by the architecture that gives form to the city, and probably the best CD this year recorded in the Mersey Tunnel. 16-page intelligent booklet illustrates the sights and explains the process.